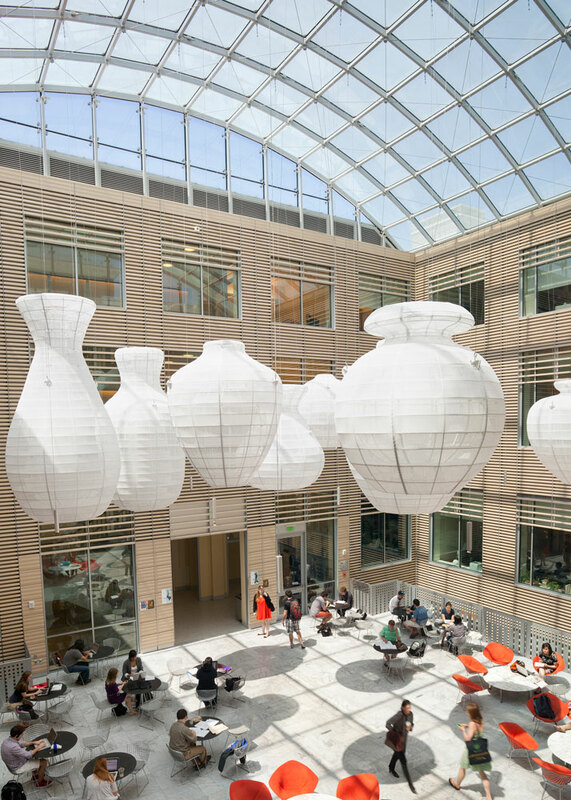 A new light-filled atrium is the academic and social heart of this renovated LEED Silver building with 40 classrooms, 10 humanities departments, and an archaeology study center. 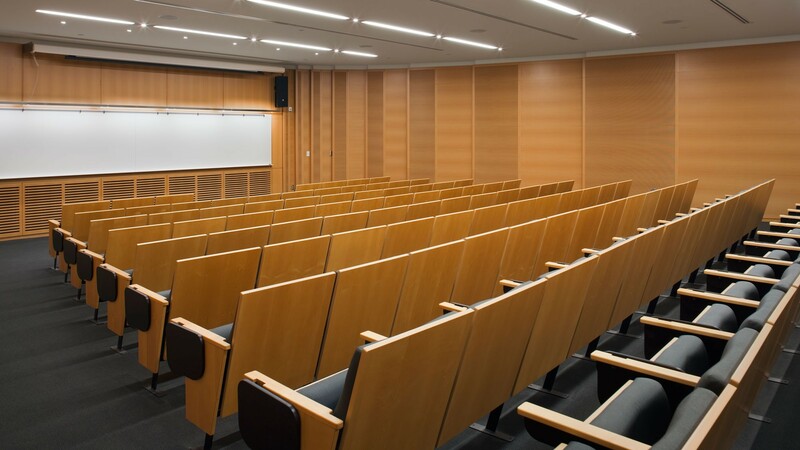 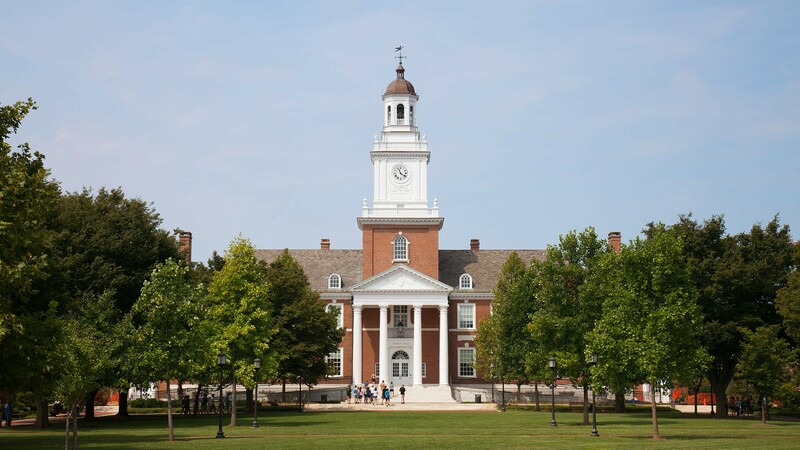 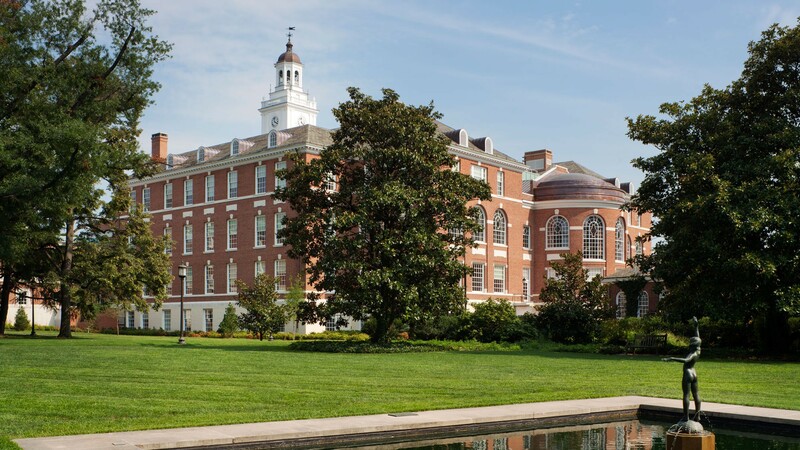 This project transformed 95-year-old Gilman Hall, iconic center of the Johns Hopkins campus, into a modern, environmentally sustainable facility for the Krieger School of Arts and Sciences. 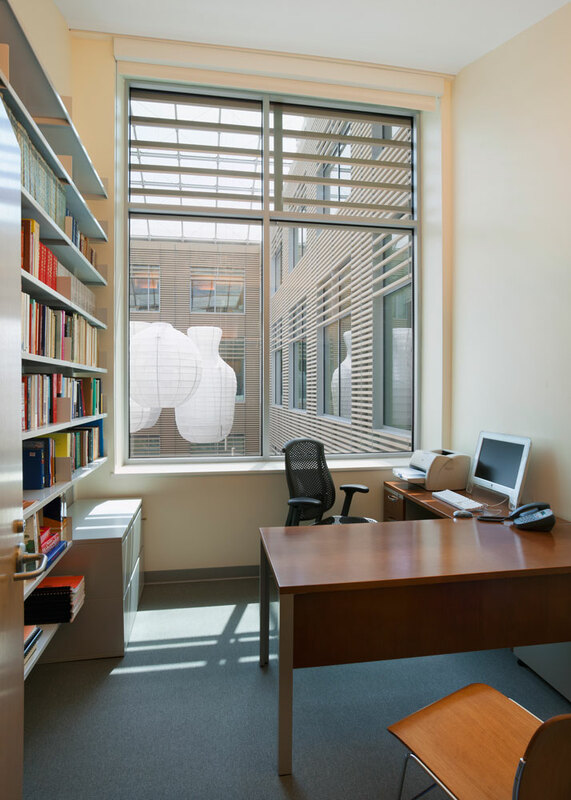 Inside the building, an outer ring of historic spaces and grandly scaled faculty offices are preserved, restored, and enhanced. 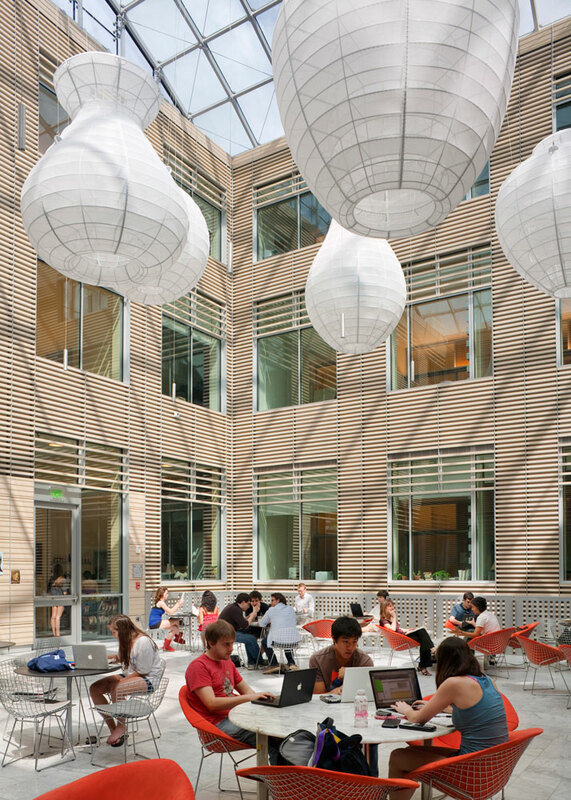 Twenty-five thousand square feet of usable academic space replaces old bookstacks. 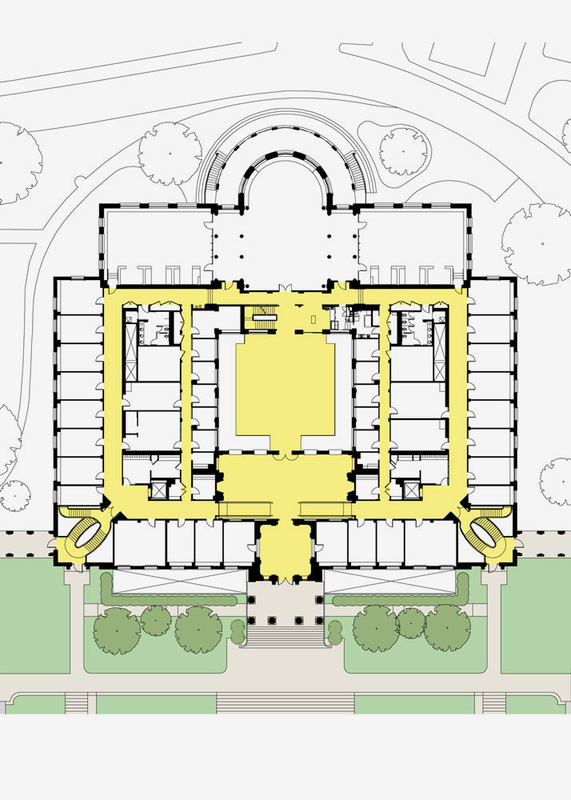 Concentric rings of construction transition from historic to modern, culminating in the glass-roofed atrium, a social gathering space for the university at the center of the building. 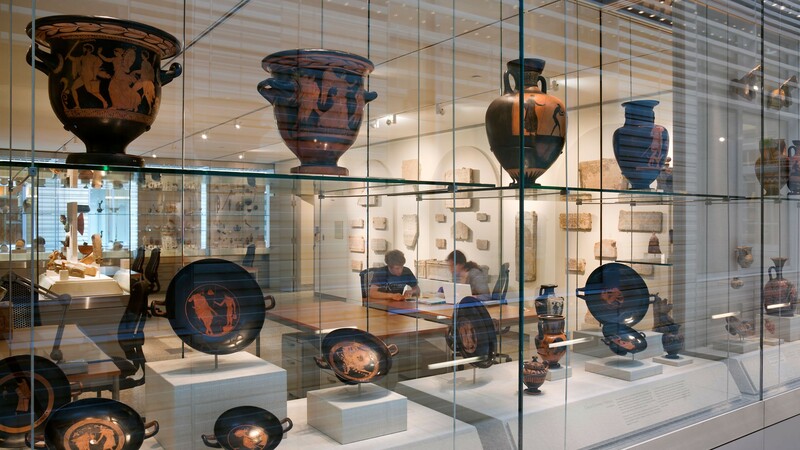 Below the atrium floor is the archaeology collection, housed in glass vitrines and visible from above. 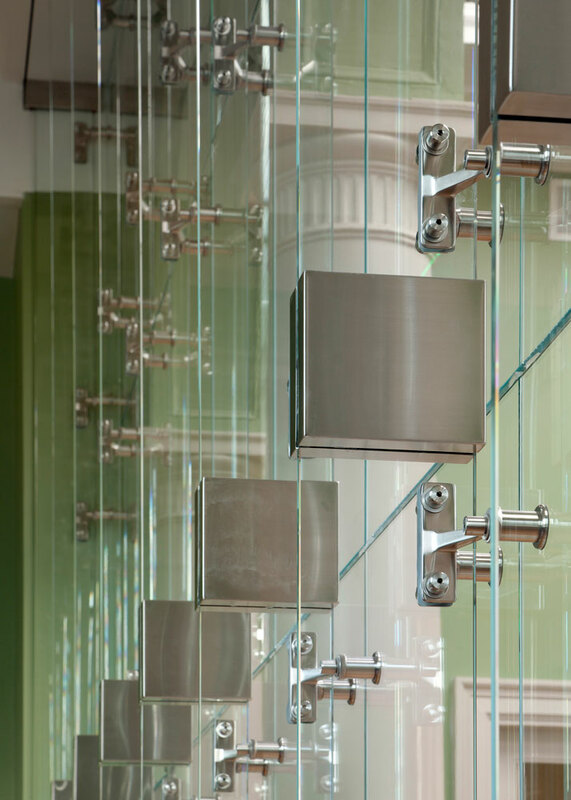 Redesigned circulation systems foster interaction. 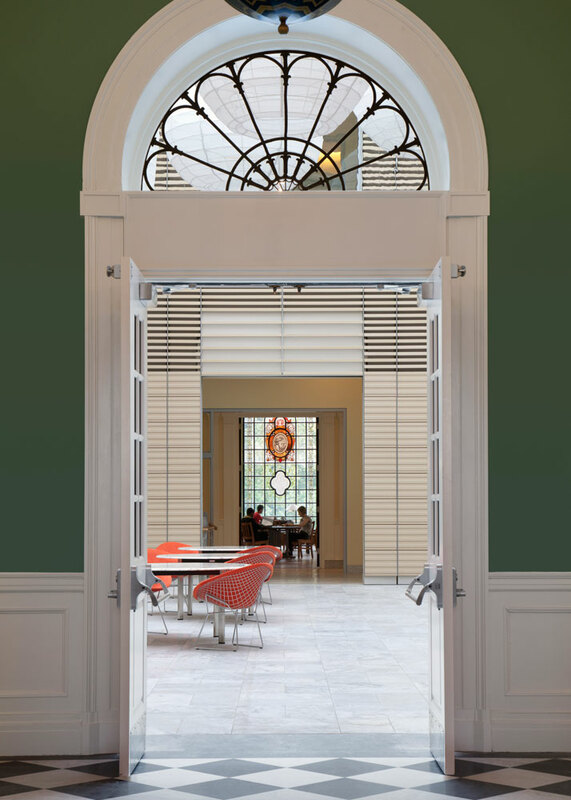 Restored historic rooms of significance become functional modern meeting and study spaces.